This post contains a list of Genealogy Resources for Zacatecas that I have used in locating my own ancestors and may also be of help to you in locating your Mexican ancestors. 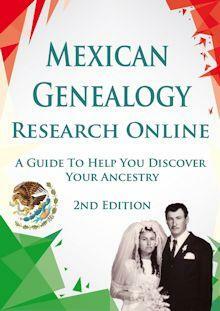 Please feel free to let me know in the comments if you know of any other Genealogy Resources for Zacatecas that I might have left out and thus need to be added. The first settlement in the state of Zacatecas by the Spanish was in what is now Nochistlan in 1531, the original Guadalajara. This settlement was later moved to its current location in Jalisco because of water supply problems and indigenous attacks. After the discovery of one of the world’s richest silver veins, Juan de Tolosa founded the capital with the support of Cristobal de Oñate and Pedro Almendez Chirinos in1546. Shortly afterward Spanish attention turned back south because of indigenous uprisings. The area remained dangerous for Spanish settlement because of the fierce opposition of the native peoples. It was not until 1586 that Zacatecas had its first boom and by then the native people had been conquered. As you can see in the above paragraph records many exist as early as the 1530’s. I do not know that I or you will be so lucky to find these documents but for sure you can find them starting in 1605 with the Church records. Zacatecas State Genealogy Group – This is our official Facebook group for Zacatecas. Join today to network with other people researching ancestors in this state. Archivo Histórico Del Estado De Zacatecas – Official Facebook page to the Archives of Zacatecas. Archivo Histórico Zacatecas – Facebook profile dedicated to the archives of the city of Zacatecas. Historia Zacatecas – a Facebook page that covers the History of Zacatecas from 1546 to June 23, 2012 the 98 anniversary of the taking of Zacatecas. La Cienega / Los Fresnos, Tlaltenango, Zacatecas, Mex. – a Facebook page dedicated to the culture and traditions fo LaCienega, Los Fresnos, and Tlaltenango, Zacatecas. Zacatecas – Wikipidia.com’s page about History of Zacatecas. 58 Municipalities – Page that contains a map of Zacatecas and all of its municipalities. 2005 Map of Political Divisions of Zacatecas – You can download a PDF map of all municipalities and their divisions. Will help you locate a specific municipality for any given town. Directory of Municipalities – Contains emails to the various municipalities of Zacatecas. Gen Forum – Forum about Zacatecas, you can respond or post inquiries about your ancestors by just registering. Gobierno del Estado de Zacatecas – Official website for the government of Zacatecas. I could not locate a website for the archives of Zacatecas. Nuestros Ranchos – This blog focuses on genealogy for Jalisco, Zacatecas, and Aguascalientes. Guadalajara Dispensas – Website dedicated to indexing and helping you locate marriage dispensations found for the diocese of Guadalajara. Many dispensations for Zacatecas are listed. 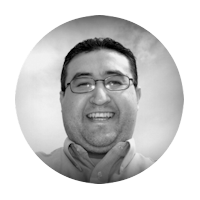 Jerez Zacatecas Genealogia – Blog by Salvador Cabral Valdes where you can find more than 140 posts about Genealogy from Zacatecas. The blog does seem to be abandoned but it contains great information. My hopes are for this list of Genealogy Resources for Zacatecas is for it to continue to grow in the future as I come across more of them. Also if your favorite Genealogy Resources for Zacatecas is not mentioned here please send me an email I would love to include it. I am aware that there are more resources out there but this is a start. From my ancestry DNA account I have copies all written in cursive writing of marriage records from 1947 of my grandparents in Chalchihuites, Zacatecas Mexico. They have their signatures and the signatures of their parents at the bottom. It lookedlike it is from a book with other peoples records as well. I was wondering if you had any idea how and by who those records were kept? Are those records that came up on ancestry original? Did someone from their village/town go to their residence and take account or would they have to go to the record keeper and have them take down these notes? I also have a copy of my Grandmothers birth from the same town. It has the hour and date of her birth listed. The date is 12 days before the date we had all celebrated her birthday on throughout the years. Do you have any idea if the record jeeper would have gone to their house when she was born ? As for marriage records they are usually a copies of the original that were sent to the state. Birth records, usually the family would take the child to be registered. Does anyone know why when doing genealogy research why some documents on ancestry or family search have no photo but they are index so they give the film number and or citation number? 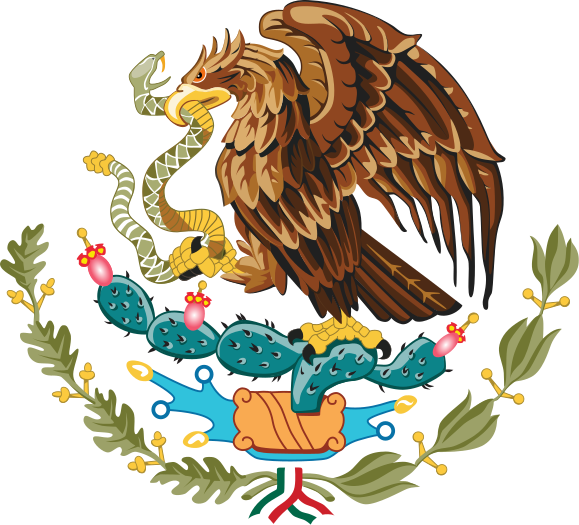 Im researching my Grandpas family Originally from Zacatecas and more recently(5 Generations back) settled in Sonora Mexico. 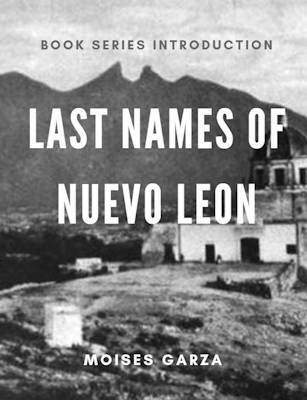 I think before Zacatecas both Bernabe De Leon and wife Apolonia Valdes were from nuevo Leon. But i cannot solidfy because none of Bernabe or Apolonia childrens docuemnt list the grandparents which is unforturnate. They list witnesses but they are vecinos and not the maternal pr paternal Grandparents. Bernabe was born Bernabe De Leon 1863 and Maria Apolonia Valdes 1863 there children were born in San Andres de Teul Zacatecas. Only two survived one daughter and one son. THe Son Aristeo De Leon is my 3xs Great Grandpa Born 1887. Can anyone help??? If it is indexed then it means that FamilySearch has the image. At first, they did not link the images to the index. Nowadays they are slowly linking them to the index thus if you don’t find an image linked on the index you need to manually browse for the image using their catalog to find the digital microfilm that the index came from. The Civil Registration records after 1860’s usually mention the names of the grandparents. Hope this helps. I have traced my mother’s side of her mother’s side back to Zacatecas, MX and found this picture of mu great grandma with this name or word maybe place “Yahulala Cuma Yacum” does anyone know what that might be?? ?